African penguin populations have been declining over the past few years. 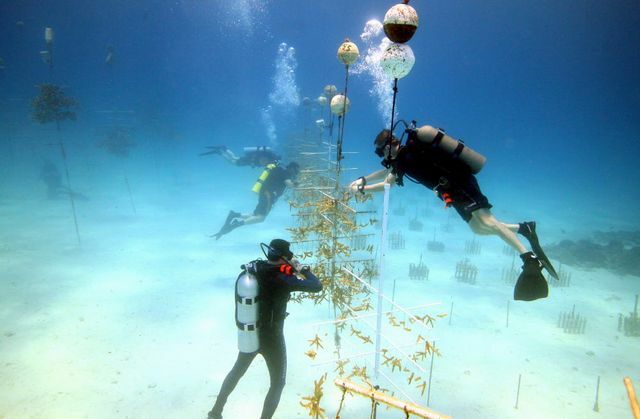 Georgia Aquarium, an accredited member of the Association of Zoos and Aquariums (AZA), is joining AZA and other accredited zoos and aquariums to help preserve this species. The campaign, Invest in the Nest, starts today on Kickstarter, the innovative crowdfunding platform. 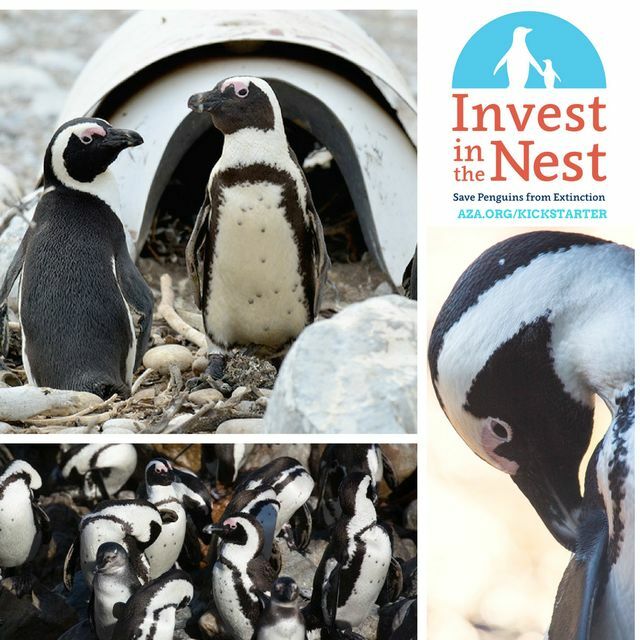 The campaign seeks to raise $150,000 to help build and place 1,500 artificial nests for African penguins in South Africa and Namibia. Join us in donating before the campaign ends on June 16, 2017. There used to be over one million breeding pairs of African penguins, but now there are only about 25,000 pairs. The penguins used to build their nests to lay eggs and raise their families in a thick layer of guano, also known as penguin poop. The guano has been overharvested for years, which negatively impacts the reproduction habits of African penguins. This problem adds to populations dwindling, as does predation, limited food supply, and habitat changes. Georgia Aquarium has been involved in African penguin conservation since partnering with the Southern African Foundation for the Conservation of Coastal Birds (SANCCOB), an internationally recognized leader in rehabilitating sea birds, in 2009. 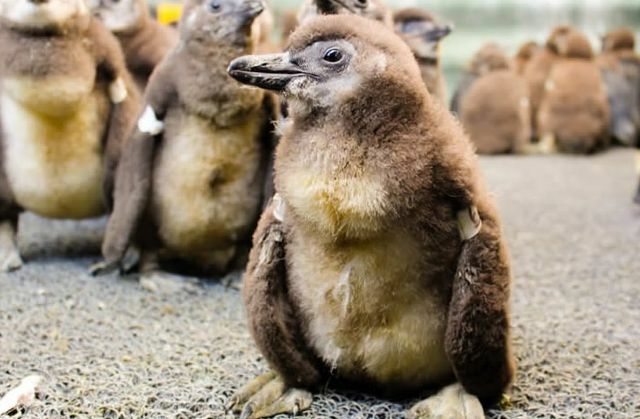 Since the partnership began, Georgia Aquarium has donated more than $250,000 to help aid in the rescue and rehabilitation of African penguins. 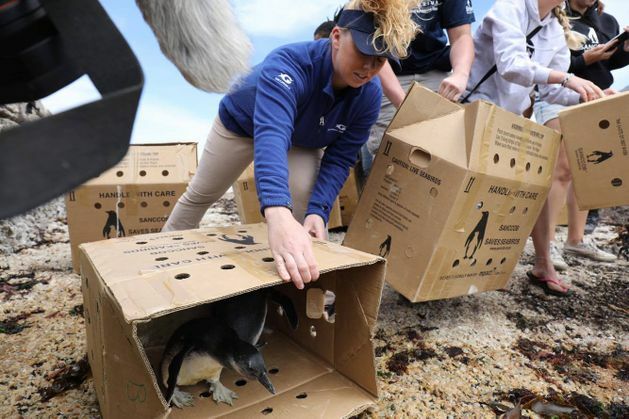 In 2016, Georgia Aquarium sent staff members to Cape Town, South Africa, to assist in the release of 57 rehabilitated African penguin chicks. Also, Georgia Aquarium is supporting SAFE: Saving Animals From Extinction, a program that brings together AZA and accredited organizations to help save species from extinction. Establishing the new artificial nests in South Africa and Namibia is a priority for the SAFE program to help save African penguins as a species. Supporters of the AZA Invest in the Nest Kickstarter campaign won’t leave empty-handed. A variety of awards is available for backing the campaign, including exclusive behind-the-scenes opportunities at some of the best aquariums and zoos in the country, as well as original penguin art, symbolic penguin adoption kits, t-shirts, totes, posters, and more. Participants will also receive the knowledge that they have done something important in helping conserve the African penguin species. Visit Georgia Aquarium to see our African penguins in our Cold Water Quest gallery to learn more about this endangered species. For more information about the Association of Zoos and Aquariums (AZA), visit www.aza.org/. To donate and learn more about the Invest in the Nest Kickstarter campaign, visit /www.aza.org/kickstarter. Join Georgia Aquarium on Facebook, Twitter, and Instagram to stay up-to-date on everything #InvestInTheNest.